As Seen in In Style Magazine! Perfect balance. Total control. Precise heat. Maximum comfort. Incredibly fast and gentle, Rusk's Speed Freak 2000-Watt Tourmaline Ceramic Dryer uses far-infrared heat and negative ions to dramatically reduce hair's drying time. Far-infrared rays penetrate the outer cuticle of the hair, drying it from the inside out. The ceramic element emits negative ion reflectives that enhance and renew the vitality of hair. 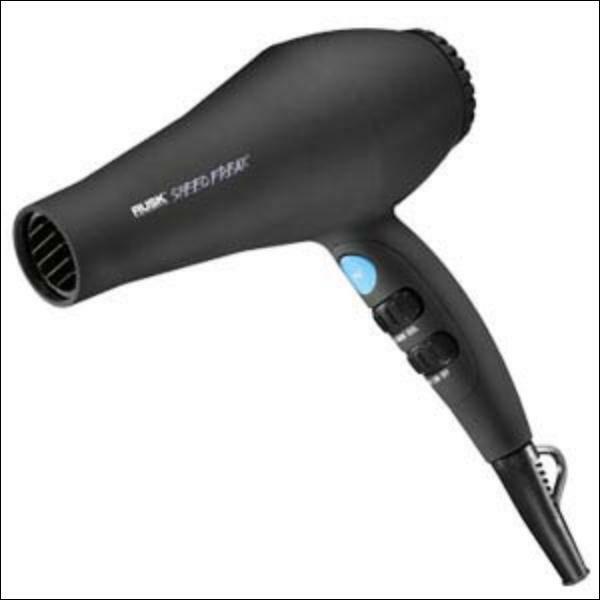 Designed for heavy-duty use by salon professionals; it's lightweight, perfectly balanced and ergonomically designed. Available in black, pink, and black with pink accents. Rusk Str8 Anti-Frizz and Anti-Curl Lotion 6 oz.